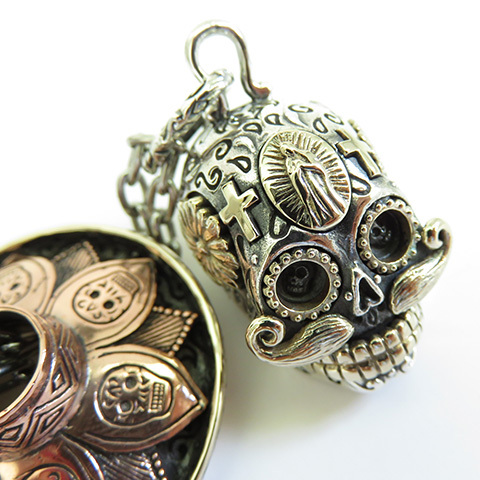 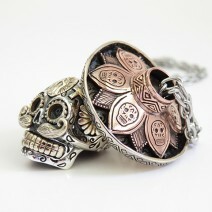 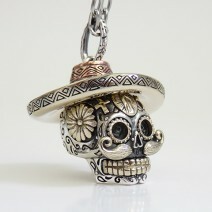 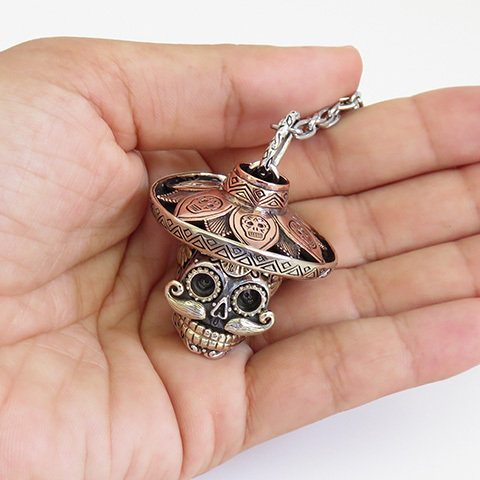 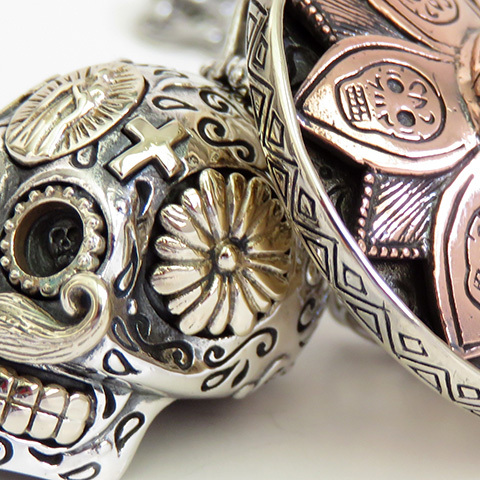 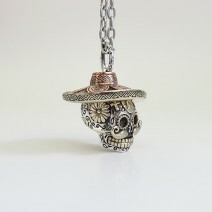 If you have been looking for biker jewelry and day of the dead skull pendants we have the badass silver Mexican Sugar Skull pendant complete with removable Sombrero hat. The larger version of our Calavera skulls from Mexico, rocks tiny Día de Los Muertos skulls decorating the top of the hat, brass eyes and bandit style gold teeth with a traditional Mexican moustache. This representation of a human skull is delivered with a FREE stainless steel chain.